City Council Meeting: The next City Council meeting will be on Wednesday, September 12, 2018 at 6:15pm at City Hall. Monthly Utility Billing: Utility bills are mailed out around the 1st of every month, they are due by the 15th EVERY MONTH IN FULL. If you do not pay your entire bill by the 15th, you are assessed a 10% late fee. If you do not pay or make arrangements to pay at a later date, by the designated shut off date, your utilities WILL BE shut off. There is a $20 per utility reconnect fee. Avoid additional charges and pay EACH month by the 15th. For your convenience, there is a mail slot on the front door of City Hall, this is a secure lockbox that you can deposit your payment in when City Hall is not open. 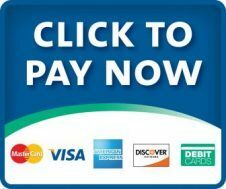 We can accept credit card/ debit card payments, but there will be an extra fee to the processing company for this convenience. Natural Gas Notification: On the backside of this newsletter you will find an important message for Natural Gas Customers. If you are a new customer to the Round Lake Natural Gas department, PLEASE sign and date this page and return it to City Hall for our records. Thank you! RL Community Center: Planning a family gathering or special event? Consider renting space at the RL Community Center. They have newly remodeled rooms and plenty of space to hold your function. Several options are available. Some of the rooms available are the gymnasium, kitchen, cafeteria and fully equipped video/tele-conferencing training room. Visit the website at www.roundlakecommunity.com. Call Becky Strandberg at 507-945-3200 or 507-360-0733 today! You can pay for new memberships and get a key to the fitness center at City Hall! Lost & Found: If you are missing a small decorative flag that was displayed out at the cemetery, please stop in City Hall. We have a flag that was found blowing around the cemetery. MARK YOUR CALENDARS!! MARK YOUR CALENDARS! MARK YOUR CALENDARS!! MARK YOUR CALENDARS! City Hall will be CLOSED: Monday, September 3rd is Labor Day, City Hall will be CLOSED all day! SCHOOL STARTS!!! Tuesday, September 4th is the FIRST DAY of SCHOOL for the Round Lake – Brewster school district. Please watch for children walking around town. It’s hard to believe summer is over! Mosquito Spraying: September is the final month for mosquito spraying. Clarke will be in town on September 4th and September 10th to spray the town for mosquitos. The truck is usually in town around 9:00pm, so remember to stay inside during and for a few minutes after the spraying. First Presbyterian Church: Four For Him will be performing at 10:00am on Sunday, September 23, 2018. See flyer at City Hall. Admission is FREE! Round Lake American Legion: There will be a flag burning event at the Brewster Legion on September 10th, if you would like more information regarding this, please contact City Hall. Pancake breakfasts will resume on Sunday, October 7th. Mark that on your calendar! Round Lake Vineyards & Winery: See enclosed flyer for upcoming events. City of Round Lake Website: Check out our website www.roundlk.net for city related information.